I definitely recommend this hostel to everybody! I had such an amazing time with Claire, Duncan and the rest of the people who were staying there. The place is clean and cozy, and the atmosphere is great! 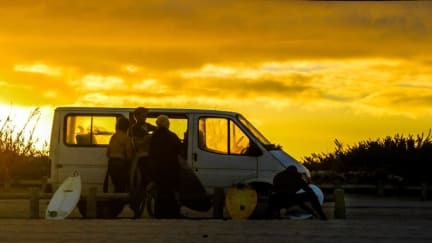 They bring you to surf every morning and help you with all the information you need if you want to do something else. We also had dinner all together! I really hope to come back in Peniche and spend some days in this hostel again! The hostel is very clean and comfortable. It is also very well equipped. Duncan and Claire are super friendly and helpful. Our staying has been amazing. We strongly recommend this place to spend a vacation in Peniche.